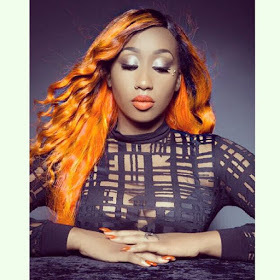 Kenya’s version of Nicki Minaj, Victoria Kimani who is mostly associated with Nigeria is among the prettiest and most talented female celebs in Kenya. She happens to be Bamboo’s sister and her sense of fashion is sometimes questionable as she shows off too much flesh. Many fans have complained about how she ‘carelessly’ flaunts what she got from her mama. She is oftenly seen her as a s3x symbol something she has refuted severally. In a recent interview with The Vanguard, the fashion aficionado made it known to all that she owes no one any apology for displaying her voluptuous curves because they belong to her and they ain’t borrowed. “I don’t think that is a bad thing. I am quite aware of that. Besides, why should I apologise for owning up to what is mine. At times, I can choose to wear Hijab to cover it up. Sometimes, I decide to flaunt it. I don’t even look at what people say because this is me and I try to be myself oftentimes. It is people who look at me as s*x symbol. I think seeing me as a s*x symbol depends on what the people seeing me that way think. It is their own assessment because I do not dress or act it. Dressing is a thing of choice, what others like might be what others dislike.